It’s been an amazing year here at EveryDollar thanks to you. Since we launched this budget tool in March, we’ve been amazed by the amount of support and feedback we’ve received. More than 600,000 people are now budgeting in EveryDollar, and we are seeing 80,000 transactions tracked per day. We are thrilled to be equipping you with the tools necessary to make budgeting easy and fun! But we’re not content to stop there. We are continuing to build EveryDollar with you in mind. We’re making it even easier to create, edit, and update your budget from your iPhone. In fact, new users can now sign up from their iPhone! Want to see how this month’s budget compares to your budget six months ago? You’ll have that option soon! It’s the perfect way to track your budgeting progress over a period of time. Ever wish you had a convenient reminder to make sure that you create next month’s budget or to track your most recent transactions? Email alerts and push notifications are in the works! That will allow you to set reminders throughout the month so you truly make a habit out of budgeting. We’ll also be improving the functionality of the Funds feature. This will make it even easier to save up for Christmas, your dream vacation or a new home. 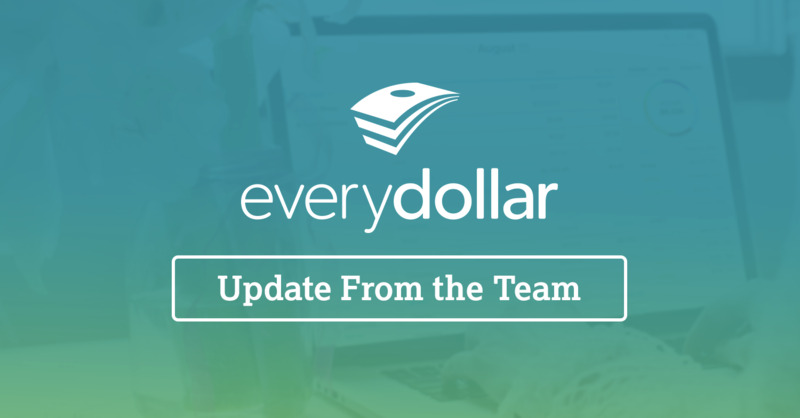 One of the most exciting announcements we have for 2016 is the release of the EveryDollar Android App. We’ve taken everything we’ve learned from developing our iPhone app and used that to design the app for our loyal Android fans. Do you know a talented Android developer who can join our team to make this app come to life? Help us spread the word by sharing the EveryDollar Android Developer job posting. Thank you for your patience as we invest time and resources in making this app a great experience for you! Thank you for joining us in our excitement for what lies ahead in 2016. We would not be where we are today without you. We’re humbled by the opportunity to play a part in helping you focus your money on what matters.